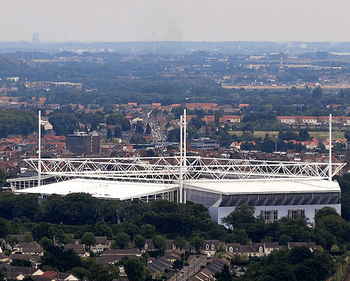 Le Parc des Princes, or The Park of Princes in English, can be found in the South-West of Paris. It is the home ground of Paris Saint-Germain and has been since 1973, and with a capacity of just under 50,000 it is the fourth-largest football ground in all of France. It hasn’t always been a football stadium, though, and was originally built as a velodrome that was used as the finish line for for the Tour de France from the moment of its inception until 1903. Paris Saint-Germain, or PSG as they’re better known, play in the highest tier in France, Ligue 1. They were formed in 1970 when Paris Football Club merged with Stade Saint-Germain. They have won the top title in France five times, the Coupe de France nine times and the Trophee des Champions five times. They’ve won the Ligue 2 title once and the Coupe de la Ligue a record five times. Along with Olympique de Marseille they are one of only two French clubs to win a European club competition. 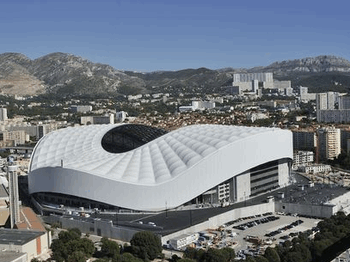 Le Parc des Princes was built in a bowl style design with continuous seating all the way around the ground. There are 17 different entrances to the ground, all represented by a letter. There are, like most grounds, four sections to the stadium. Tribune Auteuil - The North stand was named after a nearby Metro station. It fits the two-tiered bowl design of the stadium and is located behind one of the goals. It is a multi-cultural stand and welcomes fans from all sorts of different backgrounds. 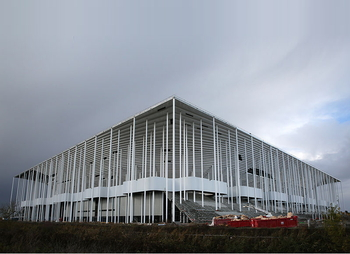 Tribune Paris - Located in the East and maintaining the two-tiered system used elsewhere in the ground, this stand is the largest section of the stadium. Tribune Boulogne - Better known as the Kop of Boulogne, a moniker adopted after PSG played Liverpool and Leeds in European competition, this stand in the South of the ground welcomes the noisiest and most passionate of the club’s fans. Presidential Tribune - Considered to be the main stand of the ground and located in the West, this is where the television gantry can be found. 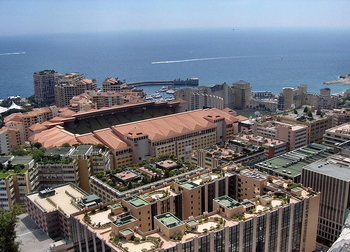 It is named after Francis Borelli, the club’s chairman from 1978 to 1991. The player’s tunnel, the dug-outs and some of the most expensive seats at the stadium can all be found here too. Buying tickets for matches in foreign countries is always tricky if you don’t speak the language. The amount you’ll have to pay for tickets can vary wildly depending on the game you’re hoping to go and see as well as the location within the ground that you’re hoping to sit in. As such we recommend you check out prices on a match-by-match basis. As a general guide, though, in 2016 day tickets ranged from £27 - £186, with season tickets starting at £336 and climbing all the way to £2,113. The official website of Paris Saint-Germain is the ideal place to start if you’re hoping to head off to France to see the team play. There’s also a box office number you can call or you can get hold of tickets directly from the PSG service point at the stadium. If you’re buying in the UK then there will be numerous third parties you can buy through, too. Viagogo, for example, is the official ticket marketplace of the club. There will almost certainly be people trying to sell tickets near to the ground on match days owing to the fact that most games tend to sell out, but you’d do well to avoid these people for a number of reasons. Though the stadium itself is a little outside of the centre of Paris, getting there is not a chore. As long as you can make your way to the capital city of France without issue, then arriving at Le Parc des Princes won’t cause you too many issues. train - Train, or more specifically the Metro, is the very best way to get to Le Parc des Princes. If you’re coming from the centre of Paris then you can jump on line 9. Porte de Saint-Cloud is the best station on this Metro line for the stadium as it’s about a 5 minute walk away. Alternatively line 10 runs through the South bank of Paris and Porte d’Auteuil is more like a 10 minute walk from the ground. If you’re thinking of getting the train from England to Paris then the Eurostar is a good option as it terminates at Gare du Nord in the centre of the city. Bus - Buses 22, 62 and 72 all stop at Porte de Saint-Cloud, whilst buses 32 and 52 both serve Porte d’Auteuil. All of those buses run the centre of Paris, so they should be reasonably easy to catch and then get off with the rest of the PSG supporters at the Metro station in order to walk up to the ground. 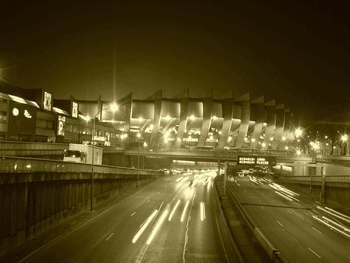 Car - The stadium is around 4 km West of the Eiffel Tower and lies on the Paris ring road called the Périphérique. You’ll take the D910/Boulogne if you’re coming from the South and turn left at the end of the ramp. You’ll then see the stadium up ahead of you. 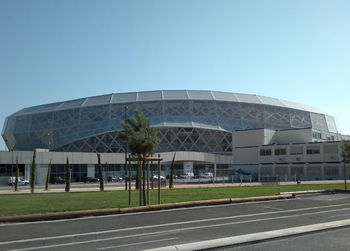 From the North you’ll exit towards Boulogne/Avenue de la Porte de Saint-Cloud, turning right off the ramp and again, you’ll see the stadium. By Air - There are two main airports that serve Paris; Roissy Charles de Gaulle is based to the North of the city and Orly is to the South. Though Orly is closer the city centre at about 8 miles away, Charles de Gaulle is the bigger airport and is around 16 miles away. Both are served excellently by Paris’ public transport system. Taxi - Taxis are reasonably easy to get hold of in Paris. The amount you’ll pay, on the other hand, can change from day to day. 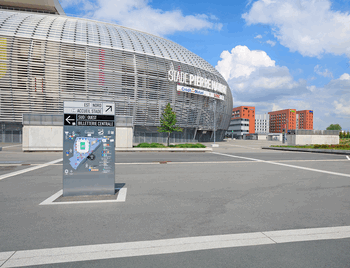 A rough guide is that a journey from Gare Du Nord to Le Parc des Princes, for example, would take about 25 minutes and would also cost around €30. If traffic is really heavy, though, expect to pay more than double that. Parking around stadium is difficult, to say the least. If you can get a parking space on a public street within half a kilometre of the ground then you’ll have done very well indeed. Let’s not beat around the bush; Paris is the capital city of France and as such the number of hotels and such that you can stay in there is almost limitless. We’ve picked out some good options quite close to the ground here for you, however, if you’d like to stay quite close to Le Parc des Princes. Holiday Inns are a chain of hotel that are well-known throughout the world, so you won’t be surprised by the quality of what you get here. There’s a bar, concierge services, multilingual staff and free Wi-Fi in a hotel that is around half a mile from the stadium. More details. Located quite close to the ground and offering a bar, gift shop and a garden you can spend some time relaxing in, Hotel Miurat is a beautiful venue with true Parisian style. More details. The Molitor by MGallery is a stunning hotel that is not fair from the stadium. It has two restaurants, a full-service spa, an amazing outdoor pool and two indoor pools. There is a health club, a business centre and they even offer childcare, should you wish to leave to sprogs there when you go and watch the match! More details. Paris is one of the most famous cities in the world, filled with culture and some excellent bars and cafes where you can get a drink or a bite to eat before the game. The area of Paris the ground is located in is called Boulogne-Billancourt, but the centre of Paris also has a huge amount of nice places to go, too. Molitor Le Bar has a rooftop bar from which you can see the stadium. It’s located as part of the hotel we mentioned before and the bar also offers a lovely view of the pool in the hotel. The Eiffel Tower can be seen from the bar, as can Roland Garros, the famous tennis stadium. You can see everything in France from up there, basically. Far more of the typical sort of place you’d expect to go before a match; beer on tap, football on big screens and plenty of Brits, Americans and Aussies around to make you feel at home. They also do bar snacks if you’re feeling peckish and want to have something to eat before you head to the ground. A trip to Le Parc des Princes will see you experience easy access to a nice, clean stadium with extremely friendly staff. The atmosphere is usually pretty fantastic for PSG games and you’ll find your seats comfortable and the views excellent. There are all of the usual facilities available that you’d expect from a top-end football stadium. There are a host of hospitality options at Le Parc des Princes, all with the sort of French flair you’d expect from one of the top clubs in the country. That the stadium is based in Paris, of course, adds its own frisson of enjoyment to the whole experience. The club says that you’ll receive services to meet your expectations, gourmet catering and dedicated service teams. The Salon Concorde package, for example, will see you get a parking space, dinner on site and cocktails, as well as seats in the Borelli Tribune. Whether ‘cocktails’ literally means a cocktail or it means drinks packages may well be a matter of translation, of course! Either way, judging by the photographs on the website it really does look a cut above. Parts of the stadium are available for private hire and if this is something you’re interested in then it’s worth contacting the club directly. 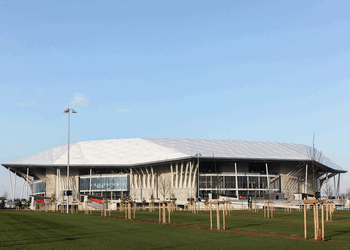 Tours are not currently running but we are assured they will be happening again in the near future, and from the changing rooms to the trophy room through to the pitch itself, the tour of Le Parc des Princes is as all-encompassing as it can get. The tour lasts for about an hour and costs €10 for adults or €5 for season ticket holders, students and people under-18. The tours typically take place on Wednesdays, Fridays and Saturdays, but not on match days or the days before a match. 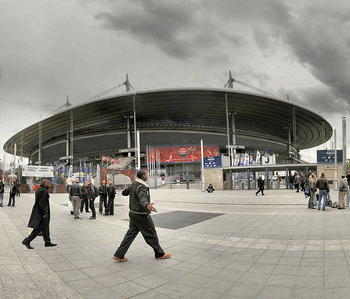 PSG have played at Le Parc des Princes since 1974 when the club was just 4 years old. They were formed when a group of ambitious businessmen chose to create a major football club in the French capital. 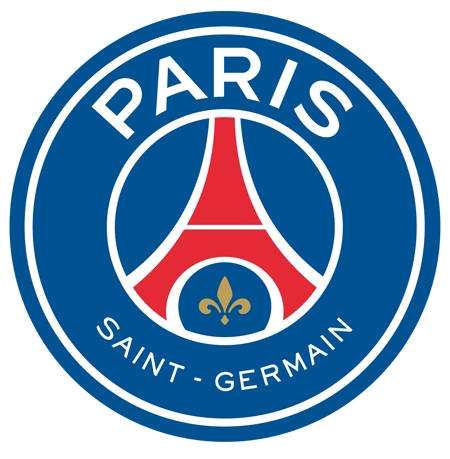 They merged Paris FC with Stade Saint-Germain and Paris Saint-Germain Football Club was duly founded on the 12th of August 1970. They immediately won the Ligue 2 title and began to build a huge fanbase. Interestingly, though, things went wrong when the club split again in 1972, with Paris FC remaining in the country’s top-flight and PSG being demoted to the third tier in the country’s football leagues. PSG have enjoyed numerous different owners during their history with most of them being rich and keen to push the club to the top of the pile of French football. From Canal+ in the 1990s through to the Qatar Sports Investment group that owns them now, PSG’s owners have been able to attract some top quality talent. Recent teams have featured such well-known names as Thiago Motta, Angel Di Maria, Edinson Cavani and, of course, Zlatan Ibrahimovic. Le Parc des Princes has been in existence since 1897, though it has been through numerous different iterations since then. It was originally designed as a velodrome but when it first opened spectators were not allowed in as there were fears that it was so badly built that the stands may collapse under the weight of the supporters. It wasn’t just used for cycling though, with the first rugby game taking place in the stadium on the 14th of November 1897. The notion of the stadium being used for many different and varied events is one that has stuck with it throughout its history. A game of American football was played there in 1919 by American soldiers who remained in the city after the war, and there was also an intention to use the ground during the 1924 Olympic Games. This didn’t happen in the end, with the City of Paris refusing to give the go ahead for the works necessary to make Le Parc a suitable location for the Games. 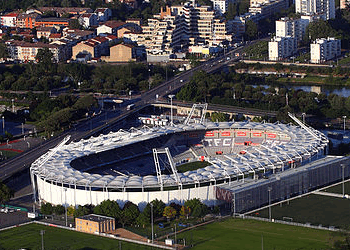 Instead the Stade de Colombes was used and 60,000 seats were installed there, making Le Parc des Princes obsolete. The stadium was redesigned and re-built in 1967 and opened in 1972, with the new design, by Roger Taillibert considered to be so far ahead of its time that only cosmetic changes have been needed to improve the ground’s comfort and safety. 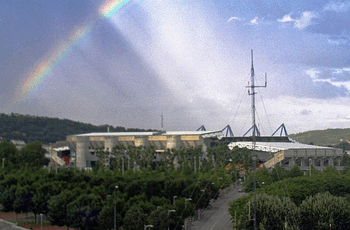 As well as PSG matches the stadium has also hosted World Cups, European Championships and even European Cup finals. There are currently plans in place to expand the stadium after it has been used as a venue for Euro 2016. The current mayor of Paris, Anne Hidalgo, believes that an improved stadium is vital for the progress of both the city of Paris and the football club. The owners, Qatar Sports Investments have long intended to add to the current 48,000ish capacity and aim to make it something closer to 60,000.